..Sharing the word of the True Guru is the best way to Learn. The members of the Raj Academy were here in Singapore for 3 days unfortunately I was able to attend only 1 diwan and 1 Talk. I must say it was pure BLISS..just BLISS. I really regret not being able to go for the other sessions. I witnessed an event that had not occured in more than a 100 years. 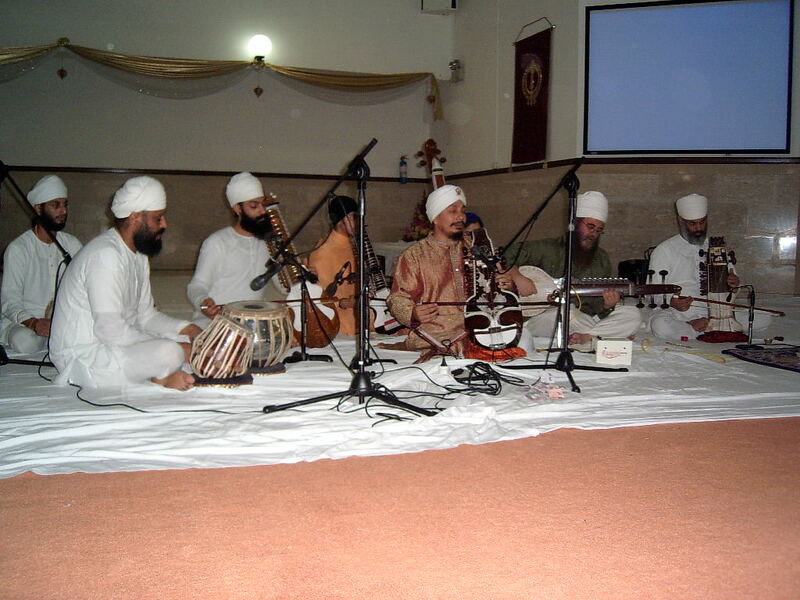 All 6 Saaz designed and used in the courts of our Guru’s played together. The Rabab, Pakawaj, Dilruba, Sarangi, Saranda and the Taoos.. When the tanti saaz is played, the feelings evoked are just amazing, one has to listen to the tanti saaz play to understand what I am talking about. A waja..is seriously no match to any tanti saaz. To read more about the tanti saaz please read the article Gurmat Sangeet and Stringed Insturments( Tanti Saaz) written by Sarabpreet Singh who maintaints the GurmatSangeet Website. The Talk was on the Topic Fusion is confusion. Prof Surinder Singh made it very clear how incorrect exprementation had led to horrible distortion of our kirtan and from Guru’s Mat it has become Man Mat. The Hook, Line and Sinker..
Why women walk behind men?